The Occupational Safety and Health (OSH) Act is a federal law that was established in 1970 to ensure that America's workforce has a safe environment in which to work. The Occupational Safety and Health Administration (OSHA), the federal agency that enforces the OSH law was established by the law and was formed in 1971. OSHA is charged with the tasks of making sure that businesses provide a safe workplace that is free from recognized hazards, promoting health and safety in the workplace, and bringing about a reduction in the occurrence of on the job injuries, illnesses, and fatalities. 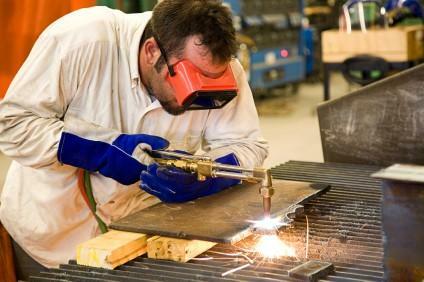 OSHA operates a number of programs designed to accomplish these goals. All employers are required to comply with all OSH regulations applicable to the type of business that they are operating. Every company is required to post an OSHA poster that provides workers with information about their rights regarding health and safety at work. Any company can call 800-321-OSHA to request a free poster. Free downloads of the federal OSHA poster are also available from the OSHA publications page of the agency's website. On this page, you'll also find links to a variety of educational brochures, bulletins, and other resources that can be downloaded at no cost. This is a wonderful source of information that employers can use to educate themselves about how to comply with the OSH Act and find tools that can be used to train employees. Additionally, OSHA operates regional compliance offices staffed with professionals who are tasked with the challenge of helping employers comply with relevant regulations and to taking steps to enforce the OSH Act. When companies have questions about what aspects of the law apply to them and what steps need to be taken to comply, reaching out to an OSHA compliance specialist may be the best option. Visit the regional and area offices page on the agency's website to find out who to contact for information and assistance. You can also learn about OSHA sponsored training opportunities on OSHA.gov. Imminent danger - Situations where accidents or injuries can be expected to happen in the near future are given top priority. OSHA will take immediate action to prevent harm from coming to workers. Fatalities and hospitalization of multiple workers - After situations where OSHA may be able to intervene before people are injured, the next highest inspection priority is situations where a worker has been killed on the job or if something has occurred that has caused three or more workers to be hospitalized. Employee complaints - The third highest priority for OSHA is employee complaints. All workers have a right to report perceived violations of the OSH Act to the agency and it is illegal for employers to retaliate against them for doing so. Agency Referrals -- The next priority is placed on companies that are referred to OSHA by other government agencies. For example, if a state agency charged with environmental management visits a work site and notices conditions that are not compliance with OSH regulations, a representative may notify OSHA of the violation and an inspection will be triggered. Targeted Inspections - The final priority is given to industries and companies that are targeted based on criteria determined by OSHA. For example, particular businesses with an unusually high rate of on-the-job injuries or occupational illnesses may be targeted. Additionally, companies doing business in industries that pose a particularly high risk of significant injury, including those that involve working around hazardous chemicals or with dangerous substances, may be targeted. Follow Up - OSHA's final priority emphasis is follow-up inspections with sites that require one or more subsequent visits following an initial visit. A follow up would be required for organizations that are found to be in violation of OSH regulations during an inspection. Significant problems may lead to high priority imminent danger inspections, or low priority problems may be classified as follow-ups. Companies that are found to be in violation of OSH requirements can face significant fines of up to $70,000 per violation, based on the severity of problem discovered. Some minor violations will not result in a fine assuming that the employer corrects the situation right away. The dollar amount increases in proportion to the potential danger posed by the violation. Additionally, failure to correct findings leads to higher fines. Additionally, the Enhanced Enforcement Program" (EEP) regulatory program targets employers who are guilty of placing their workers at risk as a result of serious, willful, and repeat violations of OSH requirements. Businesses deemed to have OSH violations at the EEP levels are subject to frequent follow up inspections, steep fines, and OSHA scrutiny at other locations owned by the same company. These actions are intended to push employers with serious safety issues in the workplace to get - and stay - in compliance with OSH regulations. When searching for the answer to the question of what is the purpose of OSHA, it's important to keep in mind that workplace safety is the agency's primary concern. The organization's focus is on providing companies with information and resources that can help them operate safely and to enforce the law.